B Battery, 3rd Msl Bn, 1st ADA Regt. 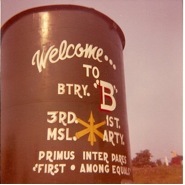 In June 1974, B Battery, 3rd Msl Bn, 1st ADA Regiment, located at Herminie, Pennsylvania (PI-37), was officially DEACTIVATED. During the nineteen years of B Battery in the Pittsburgh Air Defense, a total of approximately 1,500 Regular Army Officers and Enlisted Men performed their military duties with dedication and distinction. In addition, they were active in the community, forging a healthy relationship with the local citizenry by holding Open House, taking part in parades, serving as the Honor Guard at funerals, participating in Blood Drives, Charity Events and local sports competitions. 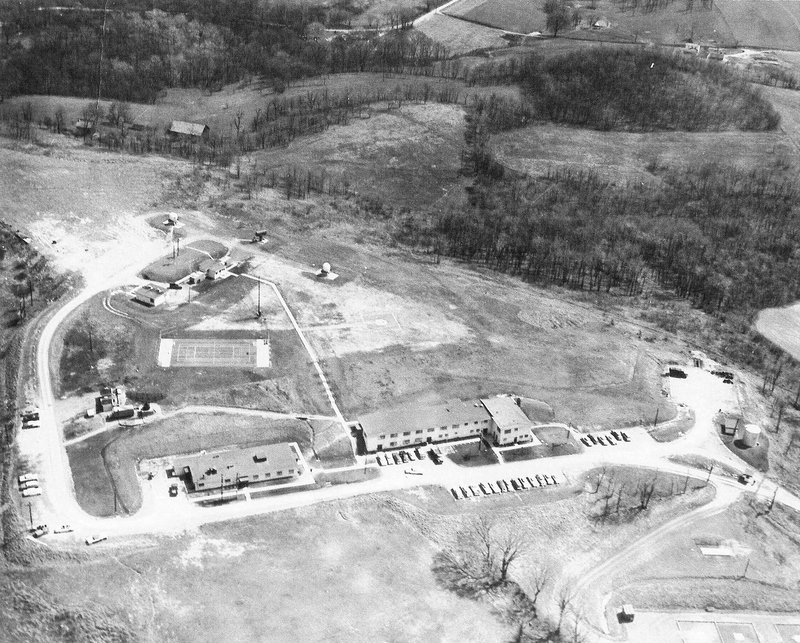 The story of B Battery begins on 15 April 1955, with the official activation of 1st AAA Msl Bn (Nike) (Continental), headquarters at Irwin, PA. 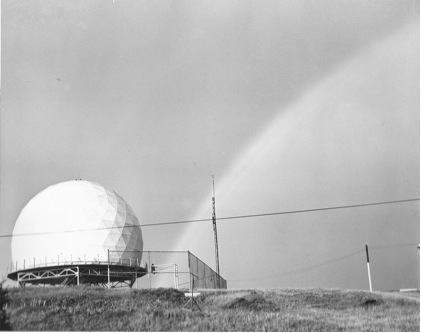 When it was activated, B Battery, 1st AAA, was one of 12 Nike missile batteries making up the Pittsburgh Air Defense. The Batteries were armed with the Nike Ajax, the world’s first operational, guided Surface to Air Missile. This missile carried high explosive warheads and had a range of around 30 miles with a ceiling of 70,000 feet. The Army had formed ARAACOM (Army Anti-Aircraft Command) in July 1950 to operate batteries of anti-aircraft guns and missiles. When 1st AAA Msl Bn, was activated, it became part of the 18th AAA Group, ARAACOM. 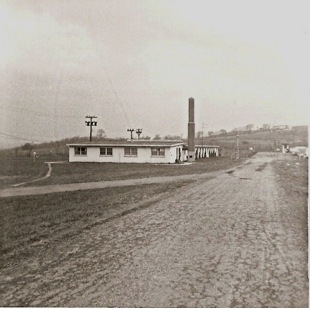 18th AAA Group Headquarters was located at South Park Military Reservation at Broughton, PA. Early in 1955, a Nike Ajax Training Package from Ft. Bliss arrived at Pittsburgh. 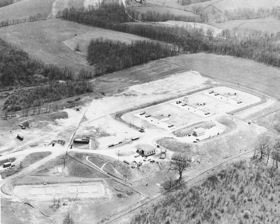 It was assigned to the soon-to-be completed Bryant/North Park Nike site (PI-92), north of Pittsburgh, as B Battery, 1st AAA Msl Bn. The purpose of the Training Package was to provide On Job Training for future missile men. In addition, combat engineers and communication specialists were assigned to bring the site to active status. 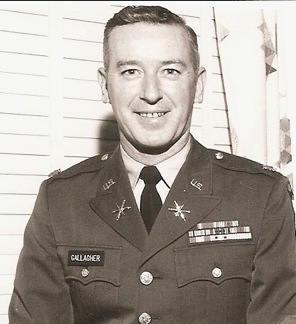 North Park, at that time was under the command of 1st Lieutenant Francis (Frank) E. Gallagher. 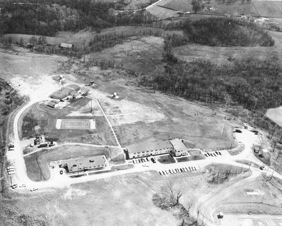 On 26 October 1956, the Nike site at North Park (PI-92) was redesignated B Battery, 74th AAA Msl Bn, and all personnel at the site were reassigned, some to the B-74th. Additionally, D Battery, 1stAAA, moved from Rural Ridge to Elizabeth (PI-42). Note: D Battery moved again in 1960, to Elrama (PI-43). Another Ajax Training Package arrived at Irwin, PA in September of 1956. Most of these personnel were assigned to a newly formed B Battery, 1st AAA Msl Bn. The new Battery was activated to man the new site at Herminie, PA, PI-37. While the site at Herminie was being constructed, B Battery trained on its own Ajax equipment as a satellite battery at Irwin. 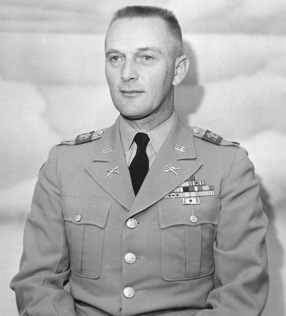 Effective 22 May 1957, B Battery was commanded by 1st Lieutenant Merrel E. Hyne, Jr.
On 21 March 1957, ARAACOM was redesignated United States Army Air Defense Command (USARADCOM). 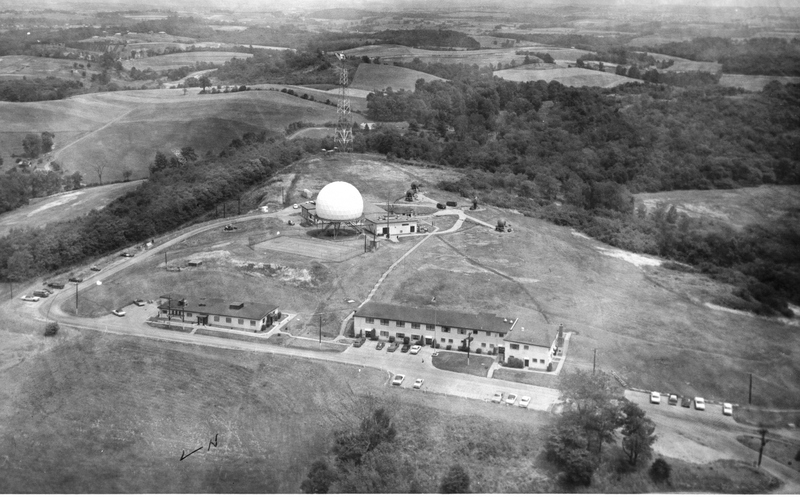 Late in1957, construction was complete and Air Defense site PI-37, near Herminie, Pennsylvania, was officially activated as B Battery, 1st AAA Msl Bn. It was under the command of Captain Robert (Bob) L. Summerlot and under his direction, equipment and personnel began the move from Irwin to Herminie, in November 1957. Under the guidance of Cpt. 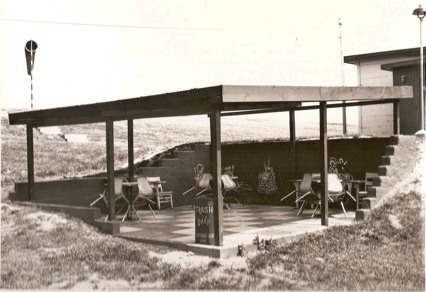 Summerlot, a Public Open House was held at the Battery on 17 May 1958. 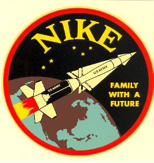 In 1958, the 18th AAA Group was redesignated the 18th Artillery Group (Air Defense) and the Batteries of the Pittsburgh Air Defense began the conversion to the Nike Hercules missile. The Hercules missiles were armed with nuclear warheads and had the capability to attack formations of supersonic aircraft with at a maximum range of around 90 miles and altitude up to 100,000 feet. On 1 September 1958, 1st AAA Msl Bn was redesignated 3rd Msl Bn, 1st Artillery. The Herminie Nike site was redesignated as B Battery, 3rd Msl Bn, 1st Artillery Regiment. Its designation remained B-3-1 through various organizational changes for the remainder of its operational years. On 19 March 1959, 1st Artillery Regiment and other Units consolidated with the 1st Field Artillery Battalion (organized in 1907). The consolidated unit was reorganized and was re-designated as the 1st Artillery, a parent regiment under the Combat Arms Regimental System (CARS). 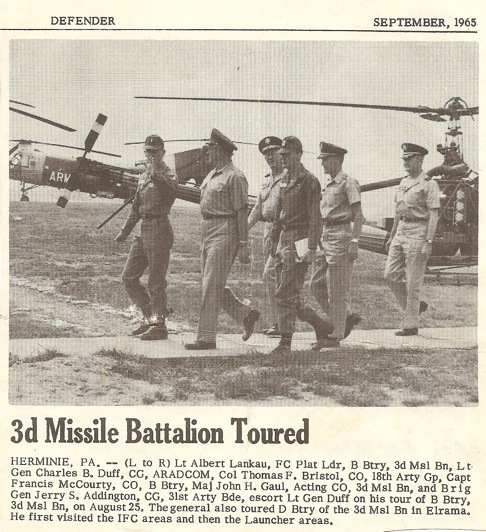 In August of 1959, B Battery personnel under the leadership of 1st Lieutenant Leo A. Hergenroeder were sent to Ft. Bliss for Conversion training for the new Nike Hercules missile (Hercules Training Pkg. 18). Lt. Hergenroeder was promoted to Battery Commander shortly after the Battery converted to Nike Hercules. 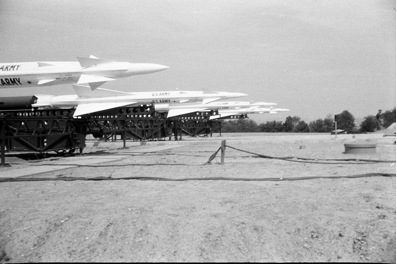 After conversion to Nike Hercules, the presence of nuclear warheads brought about increased security to B Battery. Military Police and Dog Handlers manned Security positions 24 hours a day, 7 days a week at the Launcher Area. 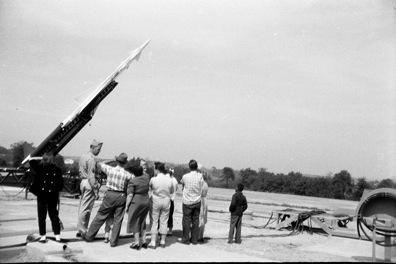 Although not readily apparent in this US Army photo, Site modifications for the conversion from Nike Ajax to the Basic Nike Hercules had been completed just six months prior, in November 1959. The FIPSY Early Warning Radar can be seen in this Integrated Fire Control Area (IFC) photo, left side, off the road, between the rear of the Mess Hall and the tennis court. Visible in this Launcher Control Area photo, are the Dog Kennels and the Exclusion Area fencing/ Guard Post which were additions for the Hercules upgrade. Also visible in B-Section (middle magazine), is a Hercules missile booster on launcher #4. Nearby is a Portable Hoisting Unit. The Herminie Nike Site, PI-37, was originally planned as a Double Nike Site, hence the large fenced areas in both the IFC and LC Areas. 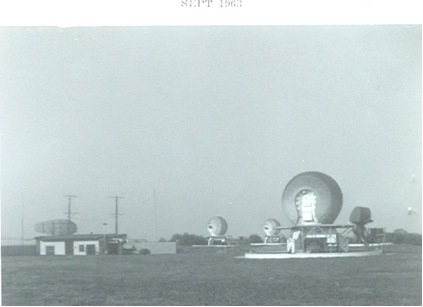 On 1 May 1961, USARADCOM was shortened to ARADCOM. 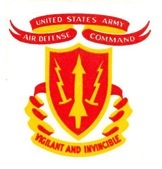 When the 31st Artillery Brigade (Air Defense) was reactivated on 15 December 1961 at Lockport Air Force Station, New York, 18th Artillery Group (Air Defense) located at South Park Military Reservation was inactivated. All personnel were reassigned to the Pittsburgh Command Element of the 31st Artillery Brigade. The FIPSY Early Warning System has been removed and new HIPAR and TRR are visible in this photo. 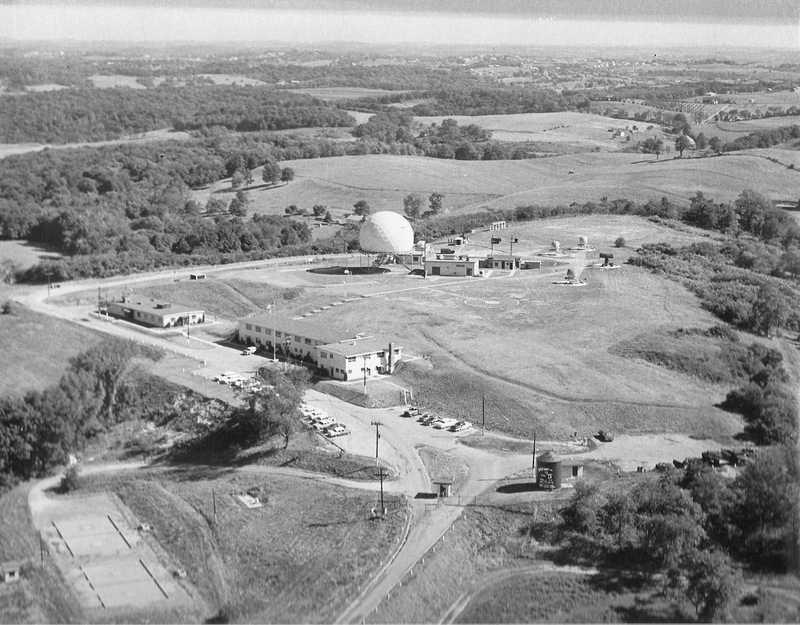 On 26 December 1963, 18th Artillery Group (Air Defense) was reactivated at the Pittsburgh Air Defense Site, Oakdale, Pennsylvania, under the command of Colonel Bill J. Tutin. 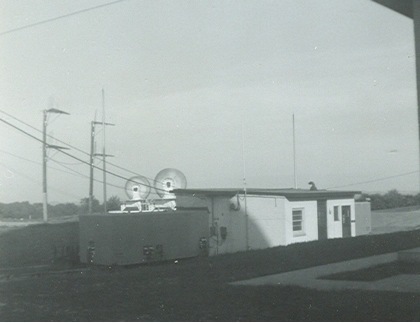 The Group provided tactical control and administrative supervision for Pittsburgh units employed in static air defense. 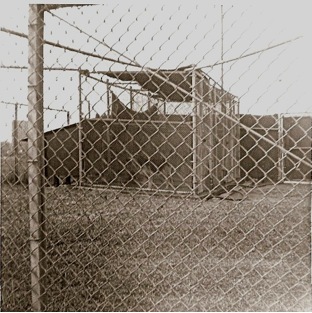 Beginning in 1965, with Captain Francis (Fran) C. McGourty as Battery Commander, Site PI-37 was “Nuclear Hardened” with Bomb Shelters for the crews being added to both the Integrated Fire Control (IFC) Area and the Launcher Control Area (LCA). This photo shows the addition of the 200 ft. Microwave tower that was added to the IFC Area for additional communications backup. The tower is visible behind the HIPAR Dome. 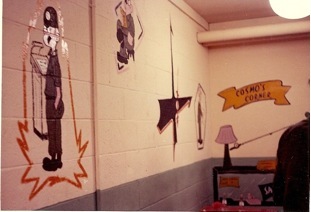 The 18th Artillery Group was inactivated in 1966, and reactivated on 15 November 1968, at Lockport AFS, NY. The 31st Artillery Brigade was replaced in the Pittsburgh Defense in June 1971, by the 18th Artillery Group. On 1 September 1971, the 1st Artillery, less former 1st Field Artillery Battalion, was renamed 1st Air Defense Artillery (1ST ADA Regiment). 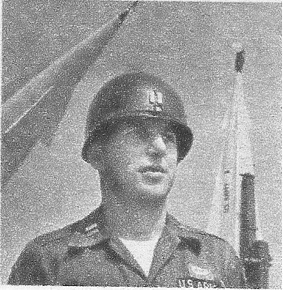 In June 1974, Battery Commander, Captain Omer L. McCants, pictured above, officially deactivated and dismantled B-3-1, Herminie Nike site, PI-37. 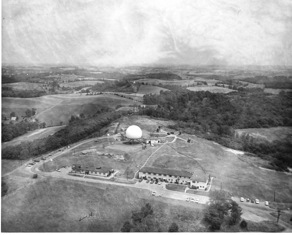 At the end, B Battery was one of only six Nike missile firing Batteries remaining active in the Pittsburgh Air Defense. Headquarters for 3rd Msl Bn, 1st ADA was inactivated at Irwin on 8 August, 1974 and the18th Artillery Group was inactivated 19 August 1974. Today, the 1st ADA remains active, in its role around the world as Army Air Defender. My first Army assignment in 1958 as a 2LT was Battery D, 3rd Missile Bn, 1st Arty Regt (ADA). Battery D was in Elizabeth, PA. I was the last RA officer when the battery went to the PAARNG in 1959. 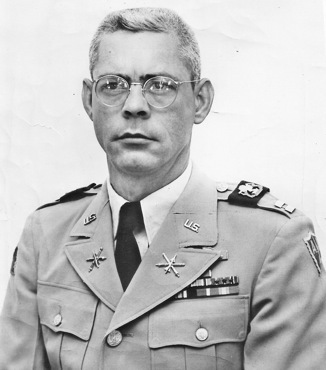 My first Battery Commander was 1Lt Tommy C Hawk (seriously), a great CO.
Would it be possible to obtain two of the reference documents you list above (History of the 31st Artillery Brigade and the 18th Artillery Brigade? I grew up in Connellsville PA during the cold war years. Just recently, I learned that there was a 90mm anti aircraft site in or near Connellsville. I would be interested in learning exactly where this site was located. My son now lives near the former West View Nike site. Thank for serving our great country. I am looking for Joe Roberson (Black) my dad who was a PFC Roberson, Btry A 1st AAA Msl BN. I was told that for some reason he got kill during the Korean Conflict in some type of explosion. Until today I have not found any of his military record other than the grade site with a military headstone. If you have any other picture or record could you please send me a copy of post them on a special website with a link to them. Reference to Mr. James Clark as a control panel operator at Rural Ridge: I was also a control panel operator at Rural Ridge during 1956-1958. I do not remember the name. However we had control operators in the LCA’s and in the undergroud missile magazines. There were three launching pads with three unground storage areas or magazines. Each launching pad had its own undrground control panel. We only had one barracks so unless he lived off post I had to be with him. They were all a bunch of nice guys, we had lots of fun and did our work honorably. I agree that it is very important to tell the story of the cold war Nike Defense Sites. I am gathering information to produce both a comprehensive Pittsburgh Air Defense history as well as individual unit and site histories. Official publications as well,as personal stories and histories would be appreciated. Any information provided will be copied and returned to the owners. First, thanks for the great work on the website. I am doing some research on the Army Air Defense units in the Niagara-Buffalo region 1952-1976. My dad worked on the many of the gun era and Nike Sites as an Army Civil Service ordnance mechanic and later Site Supervisor of the Niagara Falls Combined Field Maintenance Shop. I do have pretty good knowledge of the hardware, but I have been unable to find any good photos of the Nike Sites in Niagara-Buffalo while they were operational (both Ajax and Hercules) and some of the 90mm Gun batteries that were there prior to Nike. Also, for both the gun era and the Nike era, I would like to get some insight into the organizational structure of the Battalions. (What was the command structure, and how many troops were typically assigned to a 90mm 4 gun battery and a corresponding Nike Ajax and Nike Hercules site?). If anyone can help with my research, please send me an email. I have searched all the usual places, including the Army Historical Institute and the National Archives, Ed’s Nike Site etc. No luck finding photos or Brigade/Battalion records. The units assigned were 2nd Air Defense Artillery Group, 336th AAA (Gun Btn) NYNG, 44th AAA (Gun Btn) and 606th AAA (Gun) Btn. The gun units were all 90mm. The 44th went on to become a missile unit and of course later more National Guard units were involved as the regular Army turned sites over to the NG. Best regards to the readers and the veterans who served in the ARADCOM. Anyone know where this picture of these scrambling F-89 Scorpions was taken. Some say Thule Greenland, I there’s think in the USA. Anyone have a way to verify this location? 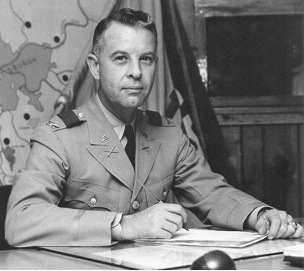 Stationed with 74 AAA Gun Bn at Mc Knight Road South Park 1953 to 1955 M33 Radar section chief. Retired 27 later. Still an air defender. (later the 738th) 1956-58 anybody around ? Thanks for writing. Yes, it is a long drive to Pittsburgh from here, but it is worth it. We usually visit with friends along the way. Sorry, you can’t get anyone from D-3-1 interested in doing a reunion. Have you gone to http://www.ed-thelen.org and looked at the “List of Nike People” link? If you click on “Ed’s Nike Missile Site” at the top right of this page, it will get you there. I see there are thirteen veterans signed up under PI-43. Perhaps you will know some of them. Click on their name and their email address will come up. Some of the Herminie veterans spent time at Elrama also. Hello Don…I just read your reply to Mr Mellage’s comments. You have quite a trip from Dallas to Pittsburg for your reunions. I’m in Virginia only a couple hundred miles away and could drive to Pittsburg and back in one day but haven’t been back since separation on 8/22/61 but would like to go back at least one more time. 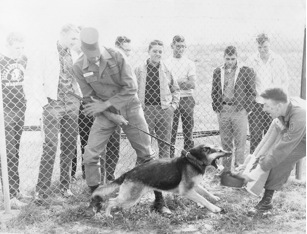 I called Robert Sawyer The MP/Dog Handler who was stationed at D-3-1 from 61 til 63. We talked for an hour or so about the good times and the bad at D-3-1 But mostly good times. Neither he nor I had talked to any of our friends from D battery for many years and neither of us have read or heard of anyone who might be trying to organise a reunion. Its always nice having these short communications with you since you seem to be so knolegible about our Battalion. Take care Don…Charlie Snead. Hi, Frank. Good to hear from you. Family is well! Thanks. I know Richard appreciates your answers to his questions. So many details of the Nike Air Defense operations are held in the memories of so many of our Nike veterans. If you are ever in Dallas, you are welcome at the Wellman home. Don — haven’t been on the site in a while. Hope you and the family are well. I do know the answers to Richard Levine’s questions. 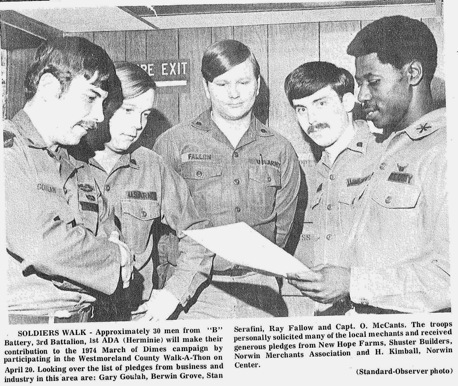 Richard I was the Launcher Platoon Leader at B Battery from 1968 -1970 — 1LT at the time. 1. Was there a requirement to maintain two or more high-explosivewarhead Nike Herc missiles along with the inventory of dozens of nuclear Nike Hercs? We had all nuclear missiles as per our mission to destroy manned bombers with nuclear weapons. Only a nuclear explosion can disable enemy nuclear weapons. All Soviet bombers had “dead man” devices which enabled the weapon to detonate when the plane was destroyed. 2. Was there a requirement to set minimum burst altitude (MBA) for alerts when there was a bogy being tracked or during training exercises? 3. During training exercises or bogy tracking, did your battery commander make use of the IFF(identification friend or foe) capability? 4. Did your battery commander have authority to use nuclear warheads prior to Presidental approval? my father (John Kovalick) was a radar tech was born kennedy twp hospital remember seeing newspaper article my older sister mom (eileen) and dad cutting ribbon on brand new post housing think it was PI-71 would like to know if anything is left would like to visit area is it worth it. I know we have had some comments from fellow nike people reguarding D-Bty in Elrama, Pa. I just received this month’s copy of The American Legion Magazine, and in search of section, Robert Sawyer veteran 59-1963 D-Btry is looking for fellow veterans,You can contact him at 207-591-9100, He was an MP Dog Handler.I gave him my phone number and Don’s to get him some information on how to get started on a reunion. I told him to check out our web site, so Good Luck to Robert and all the D-Btry Veterans. 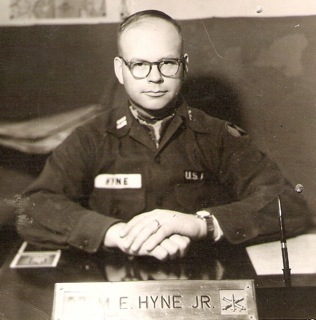 Thanks for the information about your service at Herminie B-3-1 FROM 1958 TO 1961. It coincided, give and take a few months,with my service at Elrama D-3-1. When the person writes you with the information about the D-3-1 reunion please email the information to me. Was the person who is to give you that information a former service member at D-3-1 or did he just happen to see the information in the American Legion Magazine? Would you happen to live in the Pittsburgh area now or just have an interest in the area because of your military service to the area? I live in Covington,VA now. Pittsburgh is in Allegheny County and Covington is in Alleghany county. Charles, I served at B-3-1, Herminie site, June 1958-February 1961. 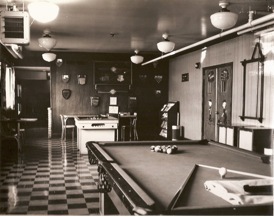 One of our veterans called me today to say that he saw a notice for a reunion for D-3-1 in the American Legion magazine. He will write later with detailed information. So far, B-3-1(PI-37) is the only line Battery that has had formal reunions (2008 & 2011). There is also a group at Pittsburgh known as the Pittsburgh Air Defense made up of mostly Nike Technicians, I believe. Amazingly, they have had 37 consecutive reunions. I can put you in touch with them if you like. Whoops…I made a mistake Don. I should have reviewed your PI37 Website more thoroughly before asking which site you were stationed at and the time frame of your service there. It appears that you were there around 1970. 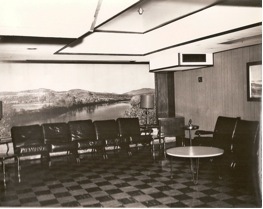 Do you know of any other site reunions and if so would you have any pictures of those reunions or know of anyone who might have pictures or videos of other PI SITE reunions in the Pittsburg Air Defense. Thanks Don! What outfit and time frame were you in the Pittsburg Air Defense? I guess there is no website for D-3-1 comparable to the PI37 website. Until I stumbled onto PI 37′S site I wasn’t aware that nike sites were called PI 37 OR 43 sites. I came within a telephone call of finding out if the Nike sites in Thule,Greenland were also called PI sites. In 1959 I recieved orders for Thule and we had just recieved two transfers from Thule and needless to say they kidded me to no end about serving a one year term in an artic region. Two weeks after recieving the orders I cleared D-3-1 and 18th Group Headquarters and returned to D-3-1 to pick up my duffle bag and my two week leave papers from First Seargent Wolfenberger. Upon reporting to Sgt. wolfenberger for what I assumed was the last time I found him on the telephone. Upon completing the call He asked me if I had requested any leave before reporting to New York for transport to Thule. I’m sure He already knew but I replied that I had requested two weeks leave. He then said “well go ahead and take your two weeks leave but instead of reporting to New York report back here”. He said that the phone call he was involved in when I came before him was from 18th Group and that my transfer orders had just been canceled but before going on leave to draw my company Issue of clothing,equipment and arms that I had returned to supply the same morning. I took in a huge breath of air and relaxed because I wasn’t looking forward to going to a place as cold as Thule,Greenland. Thanks for writing and telling your story, Charles. Good to hear from a fellow veteran of the Pittsburgh Air Defense. I was stationed at PI 43 Elrama D-3-1 from october 1958 til August 22 I961. I just read J.L. Lee’s entry that he was stationed there from 1961 til 1964. I was the computer operator(Fire Control Platoon)for all of my service there. There were 3 different Battery Commanders while I was there…Capt.Carson,Capt. Monroe and Capt. Thompson all former Airborne Officers. I don’t recall Capt. Cipola or the meat thief so both must have arrived after I departed on 10-22-1961. I also read Brandon Danser’s entry(3-23-2012) that he was stationed at PI 43 Elrama while in the Guard. I am glad to hear that it still exists. I too would enjoy walking around on Alleghany Mountain again as well as our launcher platoon which was near Mineral Beach and Finleyville. Three friends and myself joined the army after graduation in 1958 from Covington High School(Alleghany County,VA)and I’m the last man standing. I googled the area a while back and to my surprise found that some of the Fire Control and Launcher Platoon buildings still exist. Thanks for you comments, David. I know of at least one Herminie veteran that also served at Oakdale. Thank you for your sevice to our Country! Served as a tactical operations officer in the 31st ADA Brigade and 18th ADA Group HQ from 9/68 to 6/70 at Oakdale, PA. 31st Brigade was deactivated c. 1969 and replaced by the 18th Group (which was deactivated in Orchard Park NY and reactivated at Oakdale Pa). Please send me you email address. Thanks for writing, Tom. Thank you also for your offer to share information about some of the other Nike sites around Pittsburgh. I can assure you if I receive anyone requesting information, I will contact you. I appreciate your interest in researching and documenting some of the history of the Pittsburgh Air Defense. I your note, you refer to the 7th AAA Gun Battalion. Would that be the 74th? I have done a lot of research on sites PI-93, PI-92, PI-02 and PI-03. Thanks for your service at Oakdale in the Pittsburgh Air Defense. Served as a M.P. 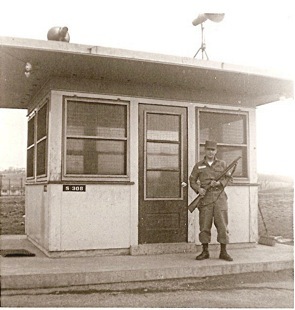 at main gate on top of hill at Headquarters, Oakdale with the 18th Artillary (A.D.) from Nov. 1970 till Nov. 1971. Best friend was a medic named Ryan from Maine. Long time ago. I will be sending you Omer’s contact information by email shortly. I’m sure he will be glad to hear from you. He and his wife were at our last reunion and it was a pleasure meeting them in person. Congratulations and the best of all to you! Thanks for writing. I’m sorry, but the rosters I have are only for the Ajax missile units. I do not know of anyone with the rosters for the 74th AAA gun units. Glad you posted to this blog. Perhaps someone reading this will be able to help you. Thanks, Luis, for your service to our Country and your service in the early days of the Pittsburgh Air Defense. I am looking for LTC (ret.) Omer McCants. (pictured above) I am one of his cadets from UAPB. I am trying to reach him so he can be invited to my promotion ceremony to LTC. Just want to let him know I made it and Thank for setting me on the right path. Served at Oakdale Headquarters 18th Artillery Gp in the S-1 office in 1967 and got discharged 5/3/1968 @ sp5 – Drafed US Army on 5/4/1966 10 days after I was married. Served with Donald Graham who is now top dog of the Washington Post and the Newsweek magazine. They used to keep an album full of troops picture and Pittsburgh news paper. it was kept in the orderly room and i was in those news paper at that time. /HI,YOU THERE;/ PLEASE CHECK ME , ON B”74 AAA GUN ROSTER=1954-56. I HOPE I EXIST THERE/REPLY IF YOU FIND ME THERE. I served in the guard at the elrama site PI-43 for a long time after it closed,its still there,i was just up there walking around a couple months ago!!! I’m sorry. 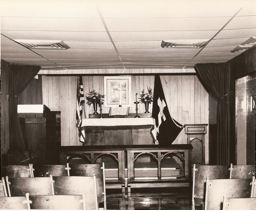 We have no information concerning the service of James Ambrose Clark. That is not unusual, since we concentrate only on the history of the Herminie Nike Site and its veterans. I did contact a veteran that served at Rural Ridge Launcher Area during the 1956-1958 time frame and he does not remember James Clark. I suspect he served at West View as his military paper work declares. We are grateful for James Clark’s service to our Country. My husband James Ambrose Clark, deceased, was in the 74th AAA Missle Bat., West View, Pa. 1956-1958. I understood that he was stationed at Rural Ridge, Pa. as Control Panel operator. All his papers indicate he was at West View, Pa. I would appreciate any information that you can share. I was at D-3-1 Elrama from 1961-1964 as Sr. MTR opr. Until Capt Francis Cipola arrived we were led by a raging alcoholic whom I repeatedly caught stealing meat from the mess hall. I was the ‘permanent’ CQ at the battery while shutdown for Western Elect refits. I have only been able to find 2 people I worked with. Thanks for writing, Richard. Of course, I have no answer for your question. I do know that our IFC Area at Herminie has many large trees that have grown up on the property since it was deactivated in 1974. Our Launcher Area, on the other hand, has been cared for by the present owner just as it was when it was occupied by the Army. In other words he has kept the grass mowed and the grounds in good order since 1974. I do know that constant mowing of the grass keeps woody plants from getting a foothold. Could that be what you are seeing at Mahwah? 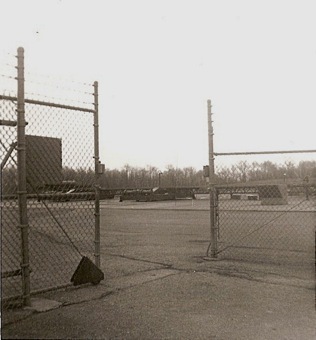 A few acres of land in Mahwah NJ used to house a US Army Nike missile launching base with underground missile magazines—reinforced concrete and nearby blacktop. 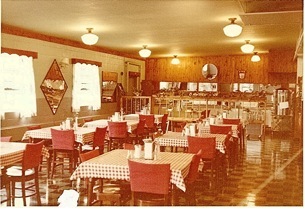 It was demolished around 1990. Today the field is very dense grass, but no trees. 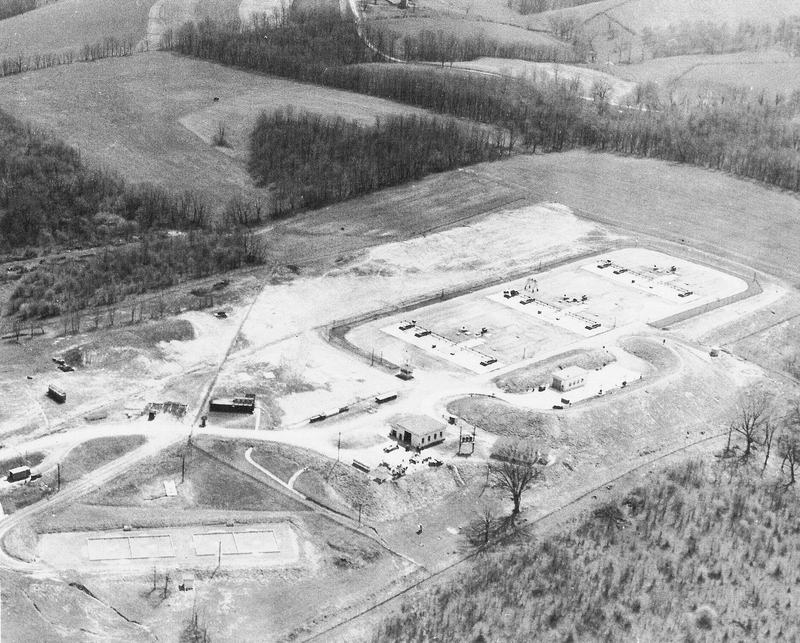 There were a long list of possible contaminants at Nike missile sites around the country including perchlorate, tricholroethylene, hydraulic fluid, radioactive material ?, diesel fuel, arsenic, chromium, lead, asbestos, etc. Why are there no trees growing on this property after all these years? This is a mystery to me, and I have years of gardening experience. What would allow grass to grow, but not allow trees to grow???? And of course, John, Nike is a “shoe” company to today’s generation. It’s important that we tell our story in order to preserve the History of the Nike Air Defense!